An Arduino attachment board created as part of my graduate research, it has 4 channel ADC and DAC converters to allow you to input and output analog voltages easily. What separates it from other such boards is the DC/DC converter on it that allows analog voltages from -10V to +10V to be read and written, even when connected only to the Arduino's +5V supply. A short clip from a fire tornado created for a Caltech party. This is the first of four subsequent generations of fire tornado. An eye tracking application written as part of an invention contest in 2010. By borrowing ideas from theory and implementation of various gaze tracking and feature recognition codes, it turned into a mostly working eye tracker in my spare time during the first year of graduate school. Then, I found a patent by Tobii that covers all of the ideas, so the code got shelved for the foreseeable future. 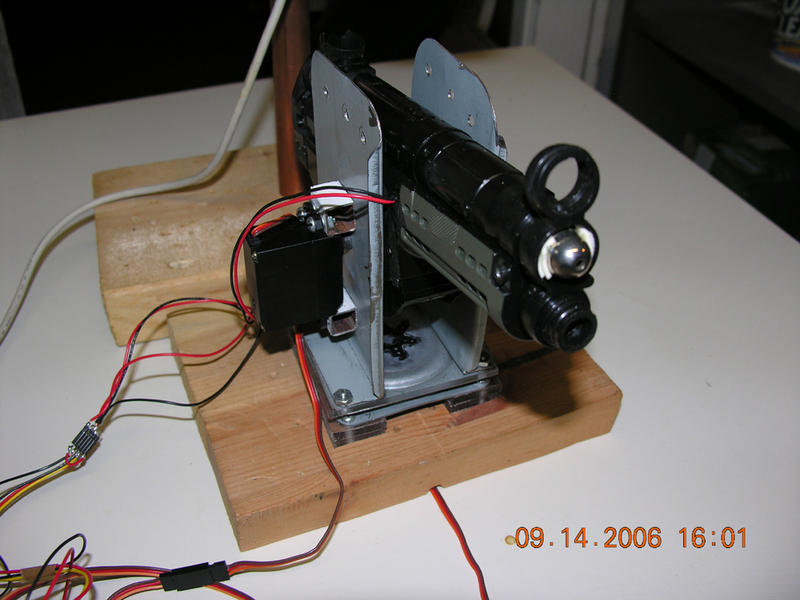 An automatic airsoft sentry gun from spring break of senior year in high school. Camera + servos + hacked PWM via stereo output port = 1 inch accuracy at 20 feet. A homemade radio control hovercraft I scrapped together out of a car and a boat in junior year of high school.